Welcome to A Crown of Roses, home of the original Rose Petal Rosary. All of my keepsake rosaries are skillfully handcrafted with the finest crucifix’s, centers, and rosary parts available and are made with heirloom quality that will last for generations. Your flowers are handled with the utmost care and respect while I handcraft a memorable keepsake that will be enjoyed and cherished for generations. Established in 1999, I enjoy handcrafting rosaries as a ministry to propagate the rosary. With many years of being a rosary artisan, it is with the support and encouragement of family and friends to make my rosaries available to all. Nestled in the beauty of New Hampshire with my family, I am a lifelong practicing Catholic with a devotion to the Sacred Heart of Jesus and the Immaculate Heart of Mary. In service to the body of Christ, I am Eucharistic Minister, Parish Ministry Fair Director, and currently lead classes as a Certified SoulCore Leader (Soulcore.com). In the past, I have served my parish as Chairman of the Parish Pastoral Council for four years, a Pastoral Council member for 10 years, a Catechist, and a Life Teen Core youth minister to our parish teens for six years. 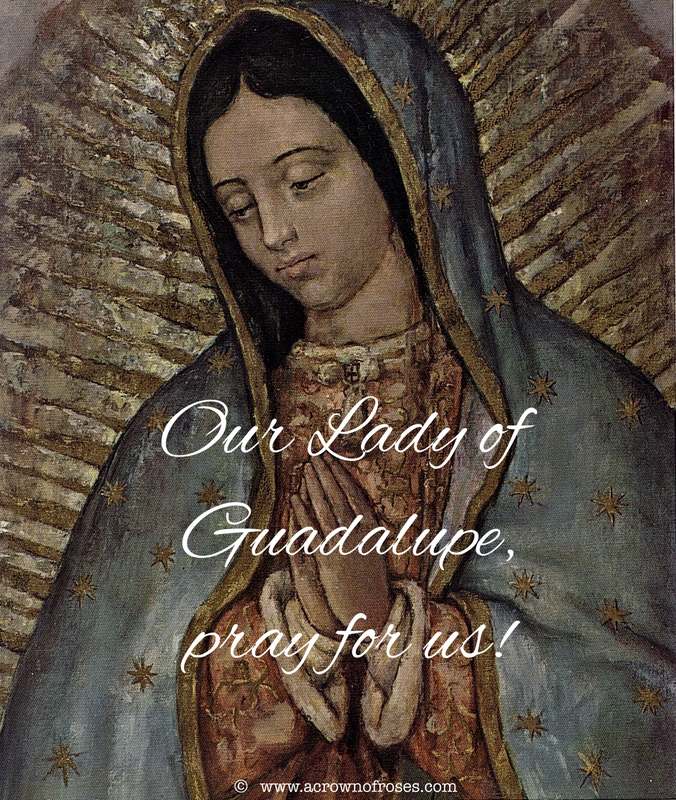 Learn about Our Lady of Guadalupe and the miraculous image.